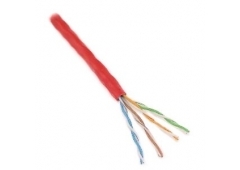 DataMax® cables for commercial data use offer outstanding electrical performance and reliability. Designed and manufactured to exceed industry standards, our cables are repetitive, consistent, and produce a higher yield rate making them the trusted choice of many institutions. In addition to superior performance for the products of today, we have resources in place to focus on continual improvement and innovation to keep up with the rapidly changing technology and data demands of tomorrow. Through working relationships with OEM’s, Assemblers, and Connector Manufacturers we are able to effectively develop and deliver the best market solutions for all your commercial data needs now and in the future.